Hand made from selected beautiful hard Maple with a short handle to keep your fingers out of the dressing and give you complete control when serving. Not just for serving salad. Beautifully finished to gallery quality. 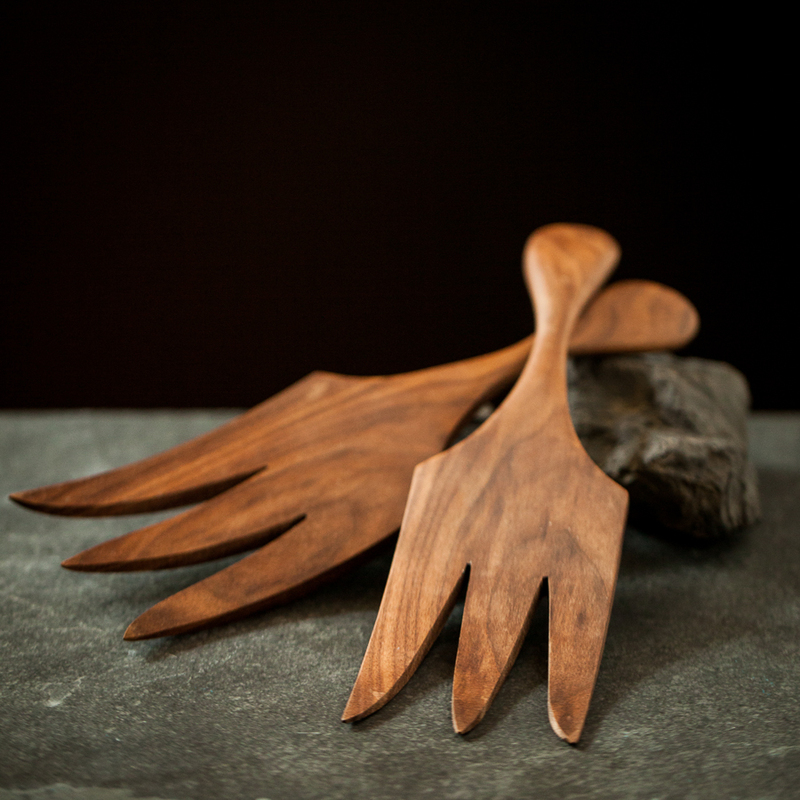 Bear Claw salad servers produced with artisan skill compliment most large salad bowls.